Home MTAANI NEWS Police nab bhang worth sh. 300,000 in Biafra Estate. Police nab bhang worth sh. 300,000 in Biafra Estate. Thika Police on Friday seized bhang with an estimated street value of Sh. 300,000 from a rental house in Biafra Estate following a hint by residents. The bhang that was in over six bags was found in a single-room house with some already rolled like cigarettes ready for sale. 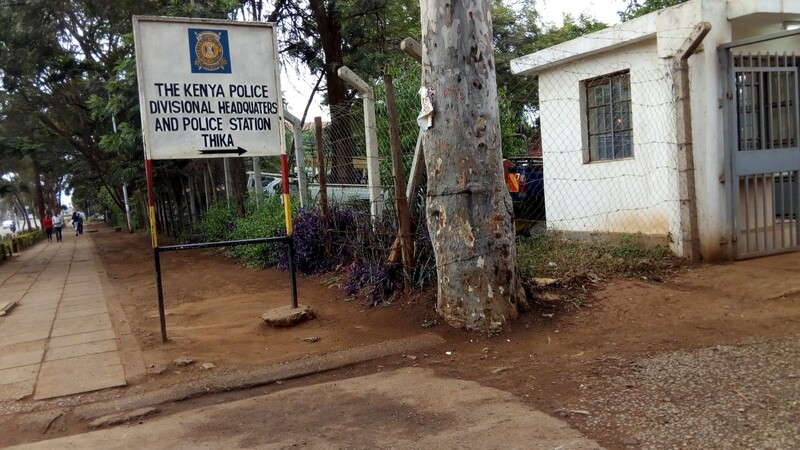 Confirming the incident Thika OCPD Willy Simba said that they had established that the drug had been sourced from a neighboring country which he declined to reveal. The OCPD said they had leads that will lead to the arrest of the owner of the consignment. “A member of the public volunteered to help the officers trace the house where the bhang had been stored. Unfortunately, the suspect managed to escape our dragnet but we will surely get him,” said Simba. He added that they had notified border patrol officers of the matter and they shall be on the lookout to avert further smuggling of this drug into the country. While thanking members of the public for volunteering information to the police, the OCPD said that his officers will intensify patrols in order to curb crime in the area. For the last few weeks, officers from Thika police station have nabbed quite some amount of bhang as its being transported from one place to another including along the Thika superhighway. Drug peddlers are said to disguise the drugs as common food while transporting them in motorbikes.